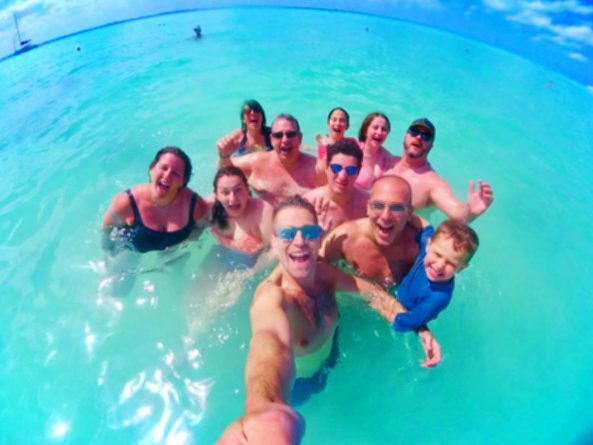 Our team of Dads all travel so differently and have their own favorite places. 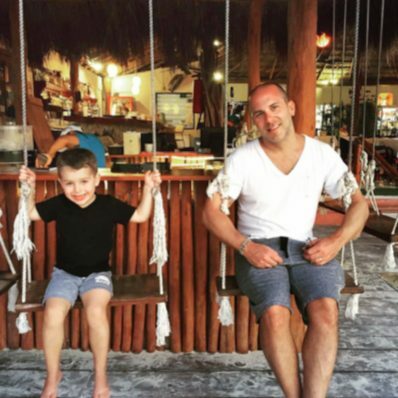 Frankie and BJ, writers of the Canadian dad-blog Family is About Love, enjoy returning to and exploring Isla Mujeres with kids year after year. 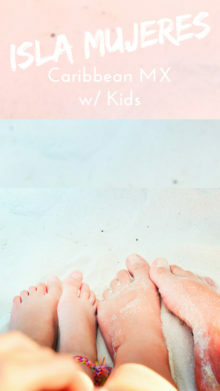 They’ve highlighted the best spots and activities for families on this awesome island off the coast of Cancun and are sharing some wonderful tips for planning a trip to Isla Mujeres with the family. 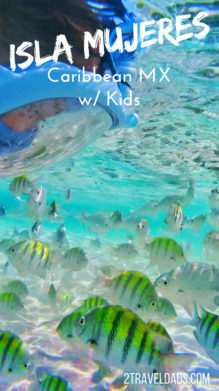 Why visit Isla Mujeres with Kids? 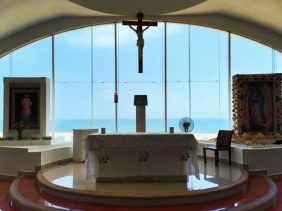 Isla Mujeres vs Cancun: which is right for you? 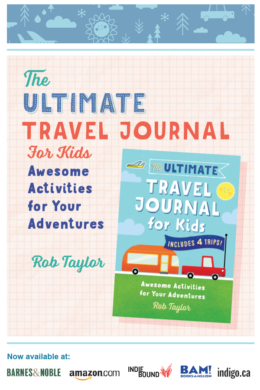 As a family, one of our favorite things to do is go travelling. We have been very fortunate to visit many countries, experience many different cultures, and see the beauty our world has to offer. The one country that we love to visit is Mexico. The food, the people, and the weather are all things we fall in love with over and over again each time we visit. Before Milo (our son) became a part of our family, we would visit Puerto Vallarta. Now as a family, we look for places that cater to children, and that are known to be very safe. 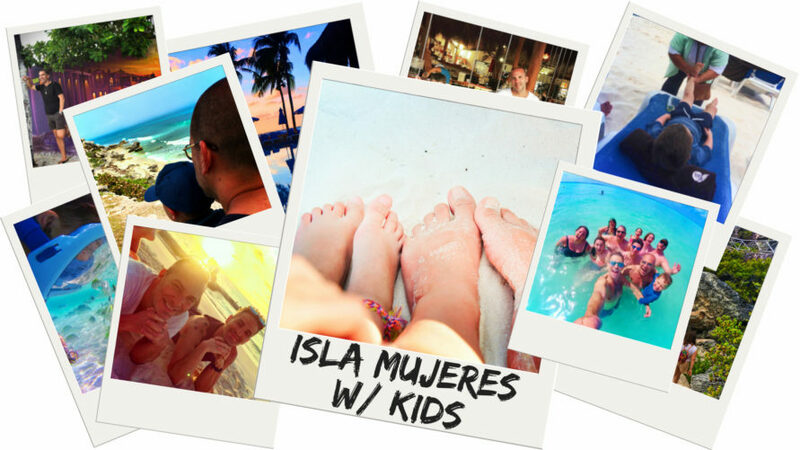 Our favorite place to get away to in Mexico as a family is a tiny island called Isla Mujeres. 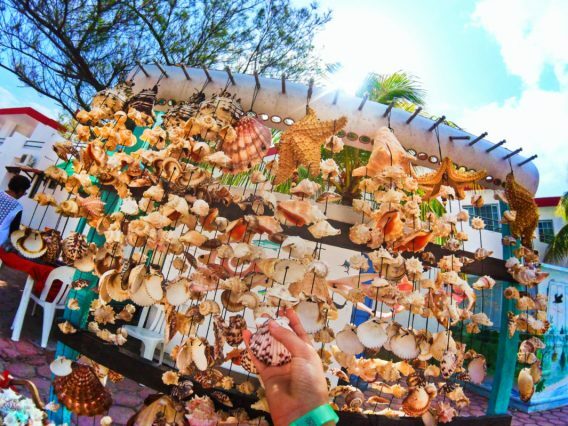 Isla Mujeres, “Island of Women,” is honestly one of the only places that we feel is a truly relaxing escape. It is a small island, roughly 6 kilometers (4 miles) long, and about a half hour ferry ride from Cancun across the Bahia de Mujeres, “Bay of Women”. 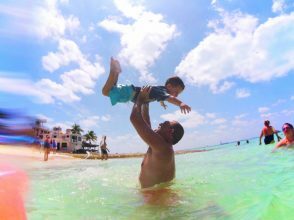 Between the island life and being detached from the mainland of Quintana Roo, Isla Mujeres with kids is an easy choice. Isla Mujeres really is the opposite of Cancun. 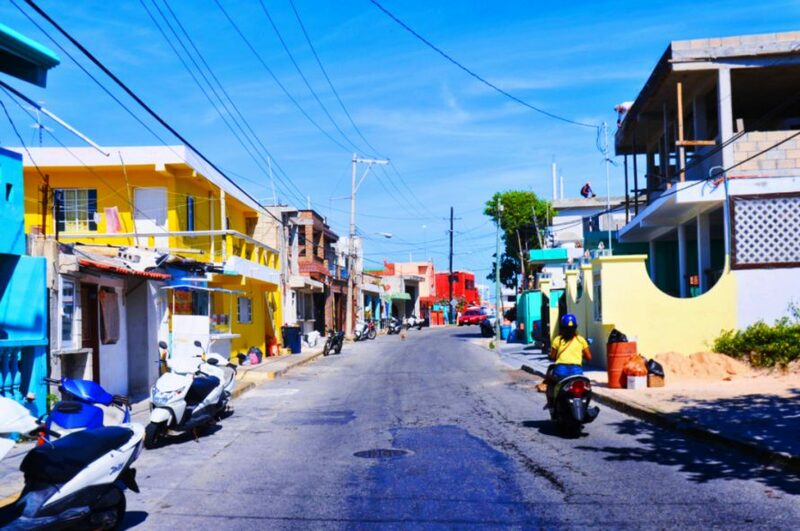 It is a quiet, small island with its Mexican culture still mostly in tact. In years past we’ve gone just as a family, and then this most recent trip two of our dearest friends joined us with their families. 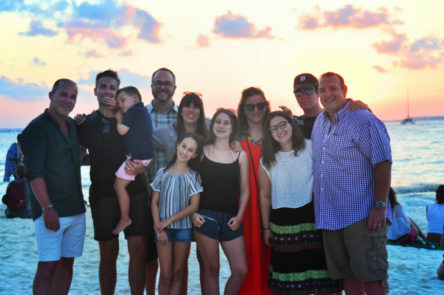 We had the best time doing Isla Mujeres with kids and love that we could share this wonderful island with friends. There are many places to stay on the island, however in our opinion (totally an “IMHO moment”), the best place to stay as a family is at NautiBeach Condos on Playa Norte, aka “North Beach.” Playa Norte is listed as one of the top beaches in the world and the fine sand, crystal clear shallow waters and gorgeous sunsets make it an ideal spot for families with young children. 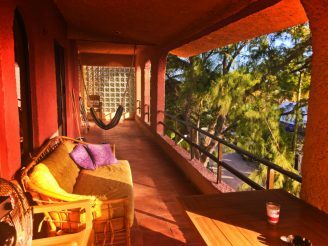 Because of the perfect setting and locale, we enjoying renting a unit at Nauti Beach Condos and it’s our primary recommendation for any family visiting Isla Mujeres with kids. You cannot beat the location and access! There are only 30 units in the complex, so it is very quiet. There are walk-out units that are steps to a gorgeous pool, an onsite restaurant, and then literally two steps onto the beach from most condo units. In years past, we’ve stayed on the third floor and enjoyed a spectacular view of the beach, however next year (yes we already booked) we will be staying in one of the walk-out units that has an ocean view AND walks out to the pool. It is easier for everyone, and we won’t have to lug everything up and down the stairs. Tip: booking a condo unit here or anywhere that gives direct walk-out access to the beach or pool makes relaxing on property super easy. CAUTION when booking this with small kids though, as you don’t want them to wander into danger if you have a moment of lapsed observation. 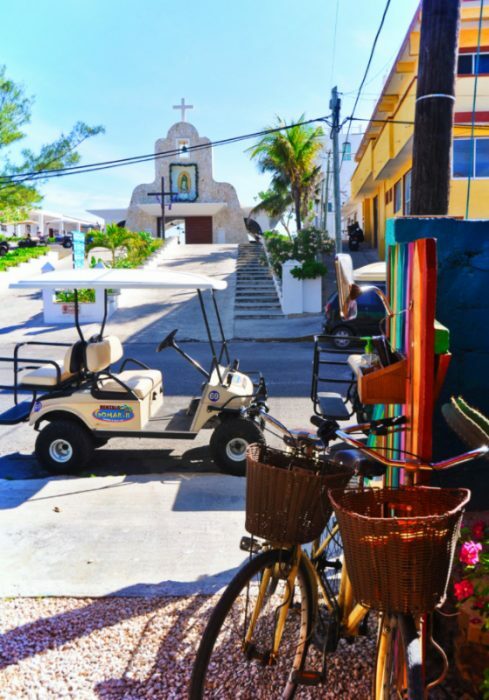 The best way to get around Isla Mujeres is by renting a golf cart. You can rent them by the day or the week and even have them delivered to your hotel which is super convenient. 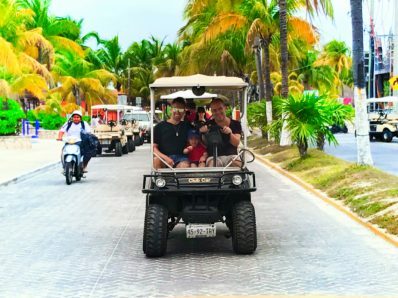 We rented our cart from Isla Mujeres Golf Cart Rentals. We usually rent it for 2-3 days, doing a big grocery shop while we have the vehicle. There is a giant grocery store, Chedraui, approximately 15 minutes away from Playa Norte that carries everything you will need. There is a smaller grocery store in town closer to where we usually stay if you do not have a golf cart or if you need last minute items. Just be mindful at how much you buy as you have to pack the cart up with all the groceries! We are also sure to drive around and explore the island while we still have the golf cart. You can drive around the entire island in about an hour non stop but there are too many great things to stop and look at along the way. 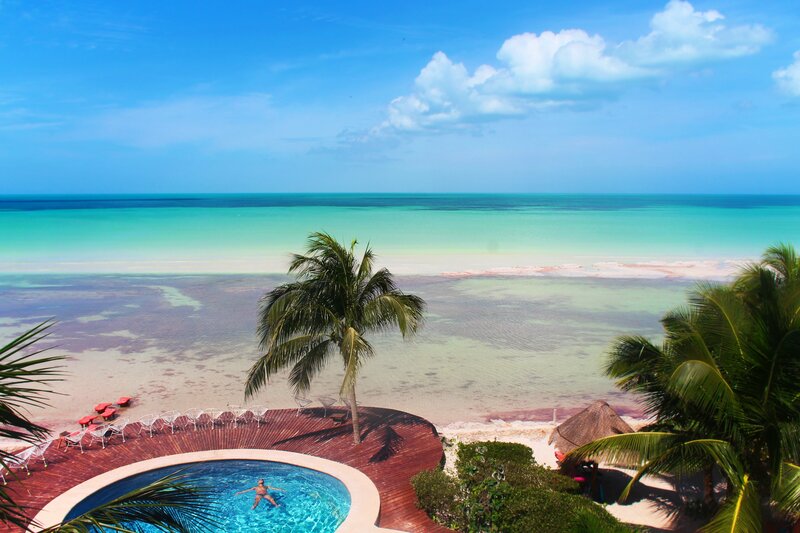 Tip: Isla Mujeres and Isla Holbox to the north are both golf cart islands. Even though it might feel like a fun activity to rent a golf cart and drive around, remember that it’s still operating a vehicle and safety is still paramount. Golf cart accidents happen too. 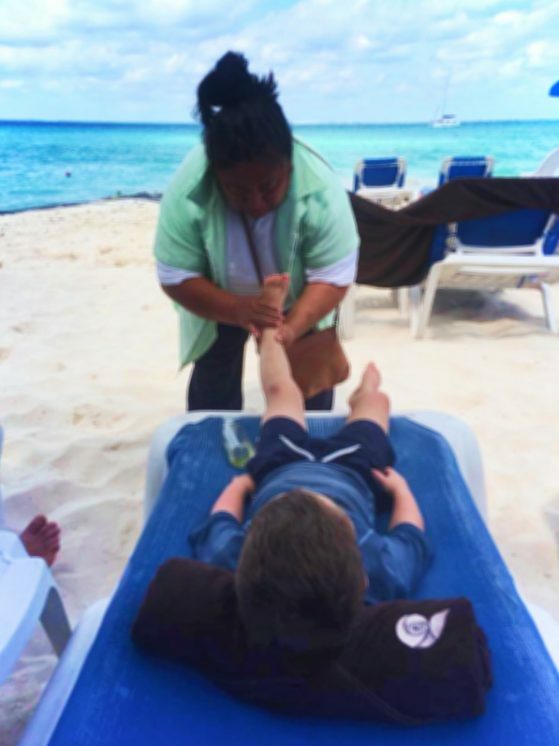 Everybody has their favorite activities when traveling with kids, and visiting Isla Mujeres is full of fun. 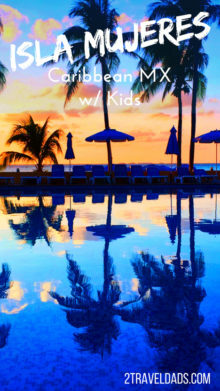 These are our top ideas for keeping the family entertained during your time on the island and ARE NOT just beaches and pools (even though we love them too). To explore Isla Mujeres, we like to leave early and head down to our favorite breakfast place, Polo’s Mango Cafe. The food is great and there is a spectacular view from inside the church across the street from Polo’s which you can also check out. After breakfast we head south to drive along the ocean. 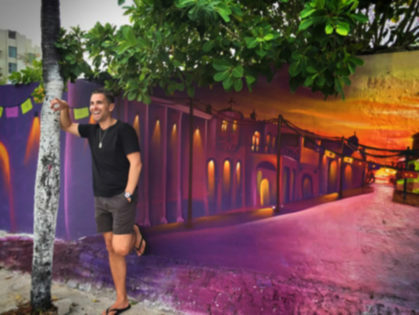 There are lookout points to stop at to grab your scenic view pic or snap that Caribbean selfie, not to mention tons of gorgeous houses overlooking the ocean that you can ogle at and dream of owning. 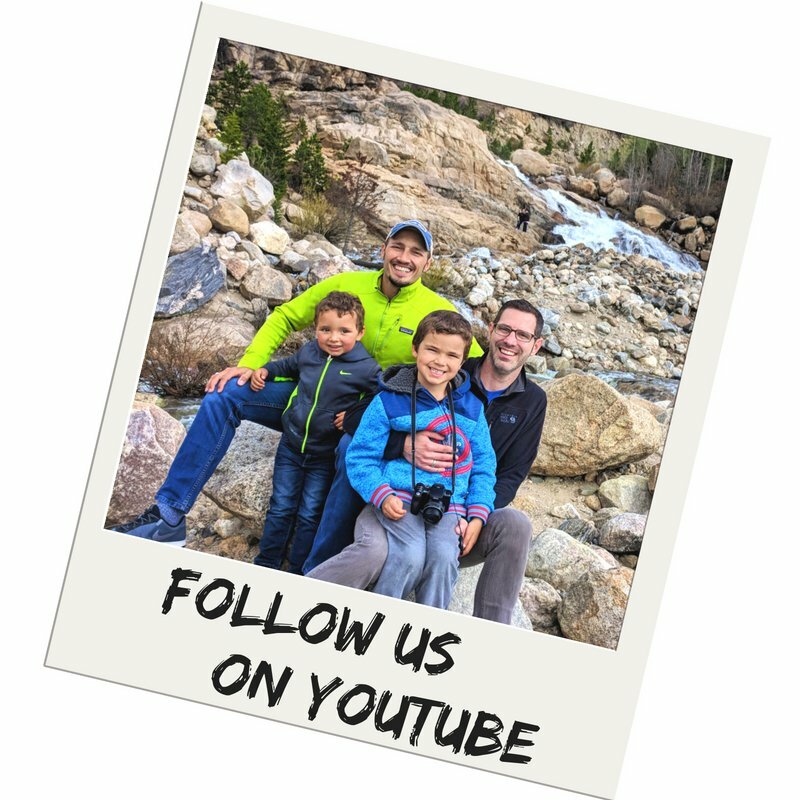 Tip: if you need some advice for taking great vacation pics with the family, particularly in getting people to smile or capturing natural looking photos, check out our top travel photography tips. Seriously, “Say heyyy” is a life-saver. 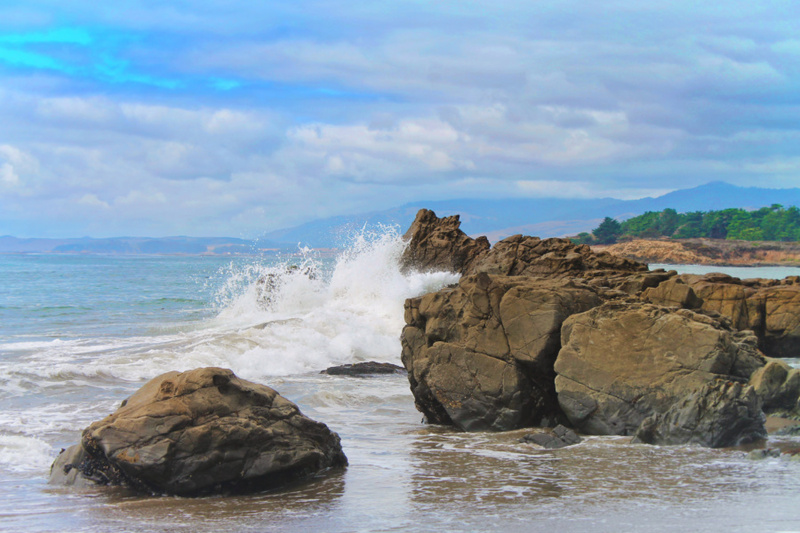 Continuing south along the ocean brings you to Punta Sur, “South Point”. 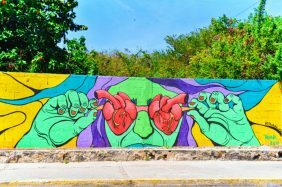 You can go explore local art sculptures, both Mayan and modern; see the ruins of the Ixchel temple (Moon goddess) and take in its views; or climb down the stairs and walk along the ocean cliffs. 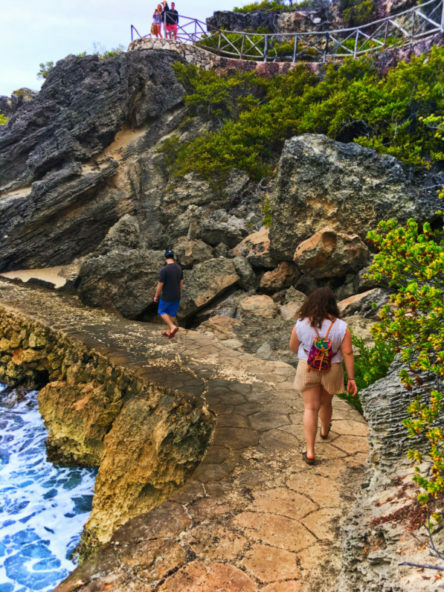 Heads up though, as any oceanfront trails in the Caribbean are subject to the weather and hurricanes in recent years have impacted the cliffside trails in Garrafon Natural Reef Park. Totally, go explore and be wowed by how beautiful the Caribbean is, but be cautious. 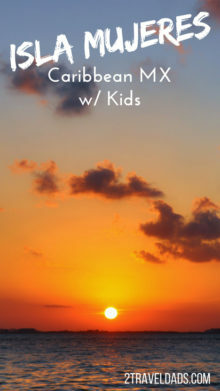 Isla Mujeres with kids is a great idea, but be wise. 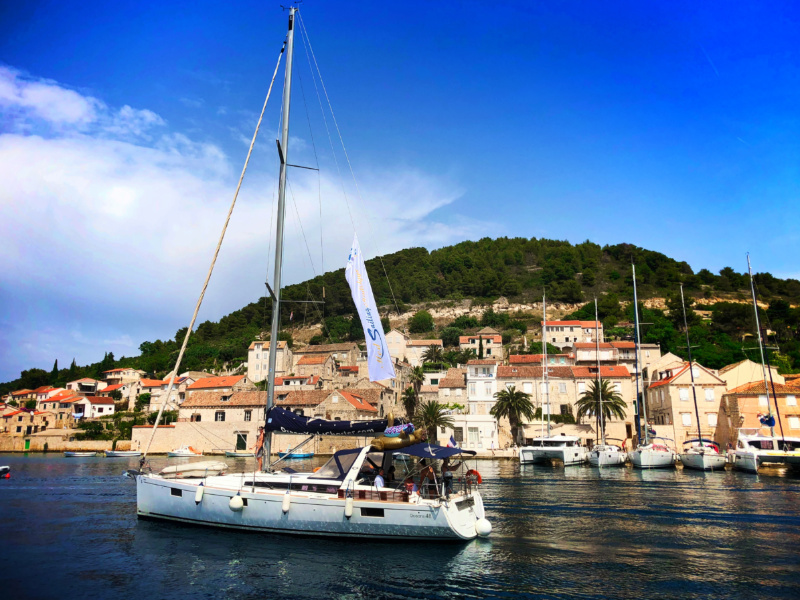 What else is at the Garrafon Natural Reef Park? Glad you asked. Why, it’s turquoise waters, iguanas all over the rocks, coves for snorkeling and just your standard, gorgeous Yucatan environment that leaves your jaw dropping and eyes buggered. 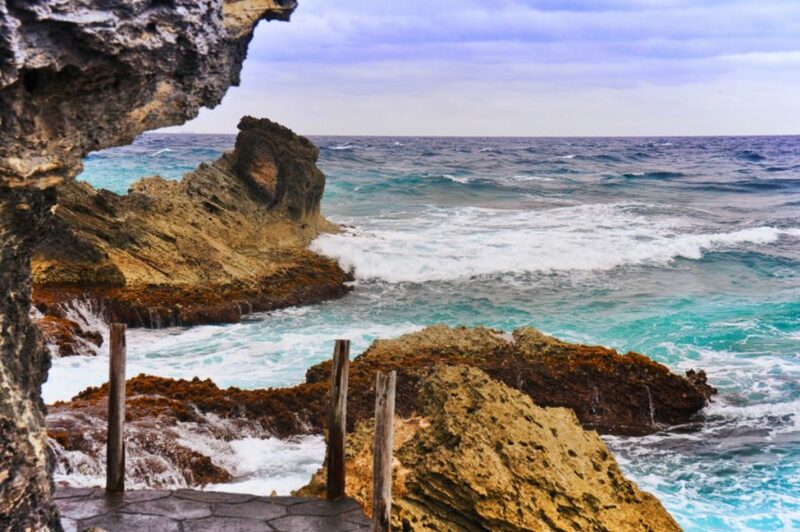 From Cancun: day trips to Garrafon Natural Reef Park are available from Cancun if you’re not staying on Isla Mujeres. 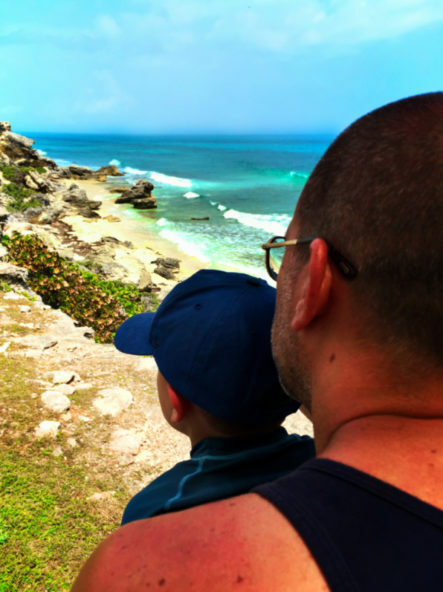 After exploring Garrafon and Punta Sur, we like to head back north to go to one of our favorite places to visit on Isla Mujeres with kids: the Tortugranja. The tortugranja or “Turtle Sanctuary” is perfect for young children and young at heart adults. You can feed the turtles, learn about their life cycle, and have the opportunity to hold and touch sea animals. It’s a great way to pass a couple hours and keep the kids entertained. Note: this is neither a sea turtle hospital nor an aquarium. The tortuganja serves primarily as a breeding facility to help build and maintain sea turtle populations in the Caribbean. 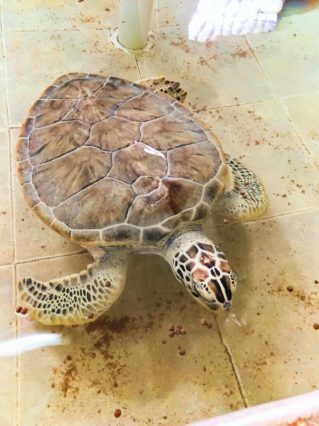 If you’re looking for a recovery center focused on rehabilitation and release, Jekyll Island (Georgia) and Ponce Inlet (Florida) both have sea turtle ICUs with verified turtle rehabilitation practices. 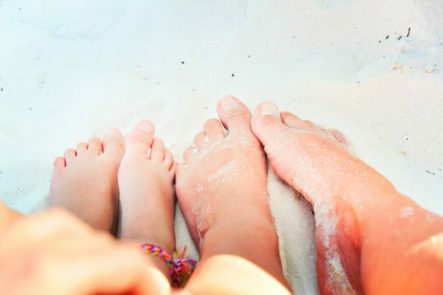 Any family will be tired after a few activities out and about, so you can feel good when you know that it’s time to head back to the beach to relax. You can go to your room, have a quick bite to eat, and hit the beach or pool to chill out for the rest of the day. Remember, being on vacation is about relaxing just as much as it is about seeing the sights and filling your days with fun. Prior to flying to Mexico for vacation, we purchased snorkeling face masks. Snorkel masks are perfect for kids and adults to use and we much prefer them to standard goggles. You don’t have to worry about breathing in water or the glass fogging up, making underwater viewing ideal. 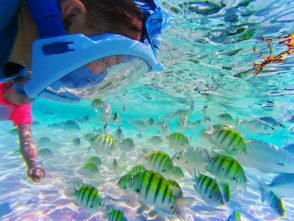 Isla Mujeres has some of the most perfect waters for snorkeling and scuba diving in the Caribbean. We walked down to the pier and hired a man with a boat to take us around the island to go snorkeling. 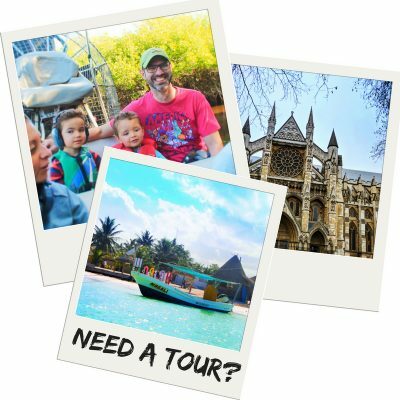 It worked out to be much cheaper doing it this way rather than booking through a tour company. In addition to some great snorkeling spots, our local guide brought us to the lighthouse and to the underwater museum. The waves at the south end of the island, where the underwater museum is were a bit aggresive, so if you don’t have a strong stomach when swimming, beware! There are some more calm coves that are better for snorkeling with kids around Isla Mujeres. 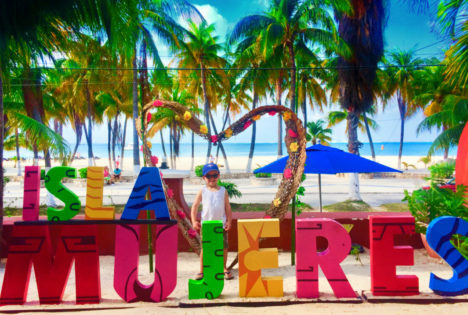 If you are not so fond of the deep waters, or your kids are afraid, there is a lagoon to the east of Playa Norte that is PERFECT for kids to snorkel in. It is at the foot of the Mia Reef Isla Mujeres Hotel. It is a protected lagoon that is very shallow (waist deep). If you happen to have snacks with you, such as crackers or bread, and you share with the fish they will indeed swarm around you. While we NEVER recommend feeding wildlife of any type, if the fish know you’ve got something delicious, you’ll have a moment where you’ll, no doubt, get up close and personal with the fish. 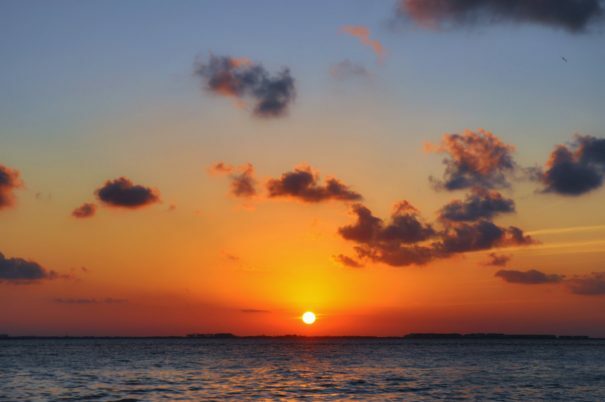 When our time is up on Isla Mujeres, we like to finish with dinner on the beach watching the sun go down. 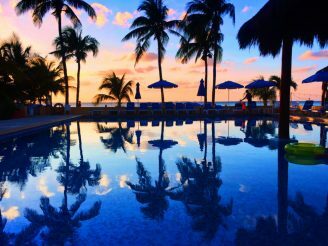 Isla Mujeres is truly a wonderful place to visit, relax and unwind. We are looking forward to returning next year and many more years to come! 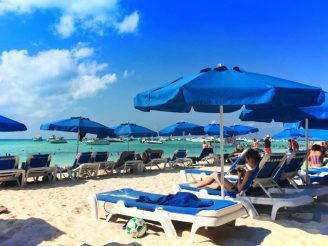 Want to pin these great ideas for planning your own trip to Isla Mujeres? Great! Go for it!